In its earlier years, social media marketing was not given much importance and was not really seen as a feasible marketing strategy. However, the world of social media has had a drastic change over the years. We are now witnesses to what seems to be an era with creative platforms, free opportunities and innovative advertisements that make our content easily accessible to the public audience. There are new emerging or improved platforms every year, and already existing companies fight their way to stay ahead of the game with new innovations and features. With that, 2016 will be a host for a variety of new trends and changes in the social scene. In the latter part of 2015, posts that show ‘at-the-moment’ happenings started showing on the timelines and dashboards of platform users. Periscope, which was acquired by Twitter, is an application that allows users to share a live video broadcast of their lives. Updates like these would definitely be a huge thing this year, as opposed to the typical shoot-now-post-later process. Facebook and Pinterest are just some of the platforms that gained attention last 2015 by introducing ‘buy’ features for their users and advertisers alike. Mobile users of these said platforms see a product they like, use one-click to purchase it – all without ever leaving the app. More social platforms are gearing towards this approach as it has proved to be efficient and by the end of 2016, most major social brands will feature some kind of ‘buy button’ naturally as an element of their advertising campaigns. Majority of people are either too busy with work or doing personal chores and errands that it’s actually a relief to have these ‘buy buttons’ as they save time and energy – instead of having to go to actual stores. The process is also easier with just a few clicks here and there – you’re all set to go! Facebook is known for spearheading new functionalities. In the past year, they’ve introduced ‘Instant Articles’ – a new form of publishing. In-post search engine – to find articles you’re referencing, as well as videos that play instantly when scrolling. Now, their team is developing their own digital assistant (though it’s technically a digital/human hybrid assistant). Other platforms such as Twitter, Instagram, and others are now working similarly. 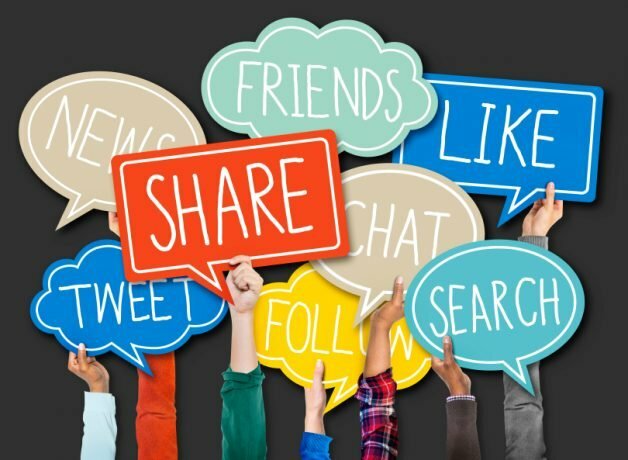 The ROI of social media marketing becomes more established and finally, social marketing itself becomes more accessible for a wider range of businesses. Because of this, there will definitely be a greater level of competition for organic visibility. Facebook is regulating organic visibility to force people to buy advertising, and as more businesses emerge in the market, that throttle will surely increase. The cost of advertising, too, will be most likely set to increase over the course of this year. For the past few years, we’ve seen several new social media platforms rise up and fall down or settle in as a middle-of-the-road platform that never gets more attention, but at the same time, never really dies out. This past year, platforms increased rapidly in popularity to stand on their own, and got enough attention to be acquired by one of the big three (Facebook, Twitter, and LinkedIn). Those which weren’t acquired eventually died out. This entry was posted in Social Media and tagged 2016 social media,Social Media,Social Media Marketing,social media trends on January 2, 2016 by ReferLinks Online Marketing.